Where is La Trinidad located? The Trinidad is segmented by the Pan-American highway, located 116 kilometers from the capital Managua, and 22 kilometers south of the departmental head, Ciudad de Estelí. The Trinidad offers its visitors a diversity of attractions; Archaeological sites, get acquainted with the craftsmanship of hammocks, climb the Cerro de la Mocuana and get wrapped up in the mystery of its legend, relax and refresh in one of its pools or enter the Tomabú Nature Reserve to know its richness in fauna and flora. The Trinity is a place of growing economic activity. 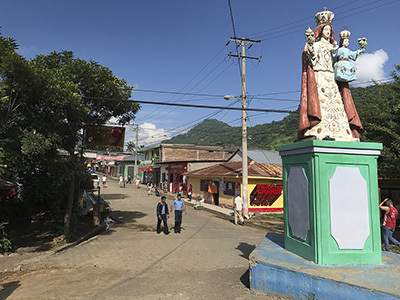 Its main activities are agriculture, livestock and commerce, highlighting the bread making, while La Trinidad is also known as "La ciudad del Pan". The name of La Trinidad comes from its location between three hills, Cerro Oyanca, Cerro de la Mocuana and Cerro del Hatillo. It was elevated to city in the year 1967. 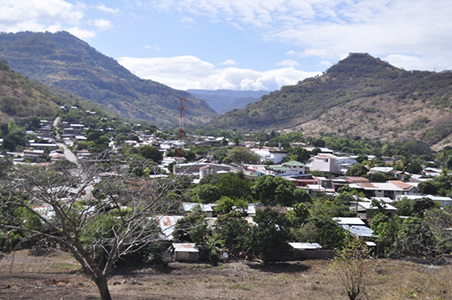 In this municipality there are several workshops where artisans traditionally make hammocks of a great variety of styles, colors and sizes, that can be bought at prices more comfortable than in the markets of handicrafts of the capital or Masaya. In La Trinidad, the archaeological remains of the pre-Columbian era, such as pots, pots, arrowheads, grinding stones and petroleum have been found at various points, Las Animas, La Laguna, and Tamarindo. A sample of these artistic manifestations is in the Central Park. In the community of El Tamarindo, 20 kilometers east of the town center, there are several petroglyphs from the pre-Hispanic period. Getting to the point where the petroglyphs are, is only possible in a four-wheel drive vehicle or on foot. In the community of Las Animas are the Petroglyphs of the Mine, figures of snakes and deer, among others, engraved in stone. In Templey Oyanca, located on the hill of the same name 10 kilometers from the town, accessible by ATV or on foot, are the remains of the considered the last indigenous cacique of the region. The hill that protects the west side of La Trinidad, is the Cerro de la Mocuana. You can visit its caves and be enveloped by the mystery of the legend of La Mocuana. But if you are looking for a refreshing swim, we suggest a visit to the community of La Concepción, in the Poza Los Canales, where you can slide by its stream of water, as if it were a slide to fall in the crystalline waters of His pool. 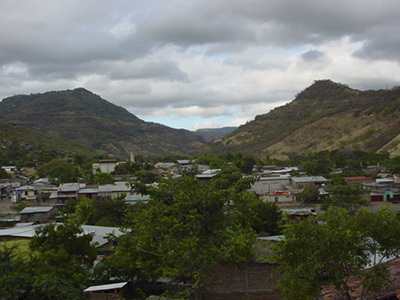 In the territory of La Trinidad is part of the Tomabú Nature Reserve, which is mostly in the territory of the City of Estelí. The Trinidad celebrates its patron saint festivities between January 17 and February 15, in honor of Our Lady of Candelaria. If you travel from Managua in your own vehicle you have to take the Pan-American highway north to Estelí, La Trinidad is located 22 kilometers from the departmental head and is properly signposted. If you travel by public transport from Managua, you have to take a bus at the Mayoreo terminal that goes to Estelí, Somoto, Ocotal or Jalapa and get off at La Trinidad. The trip lasts a little less than 2 hours.